The Pilates method was invented by Joseph Huber Pilates. The Pilates training primarily serves to strengthen the muscles, especially the abdominal, back and pelvic floor muscles. It is a holistic workout that strengthens and stabilizes the low-lying muscles, resulting in a healthy posture and a good body sensation. Power, flexibility, control, relaxation and breathing are combined. This combination makes it possible to improve body awareness while strengthening, stretching and Relaxing. We are looking for a new instructor. The Japanese Kempo is a modern martial art, but its origin dates back to Bodhidharma. Kempo contains over 600 different techniques that can be divided into three main categories: Goho (hard techniques such as bumps, blows and footsteps), Juho (soft techniques such as exhensions, levers and throws), Seiho (techniques for physical posture and health to improve). The exercises are adapted to the physical condition, the system serves the human being and not vice versa. If a part can not be practised, leave it. The Kempo is free from competition, it serves the promotion of health and the protection against dangers. Self defense for participants from 12 years up. There is a changing room. Monthly contribution Fr. 40.00. Start possible at any time. Playing football/soccer in a mixed group? We have it. 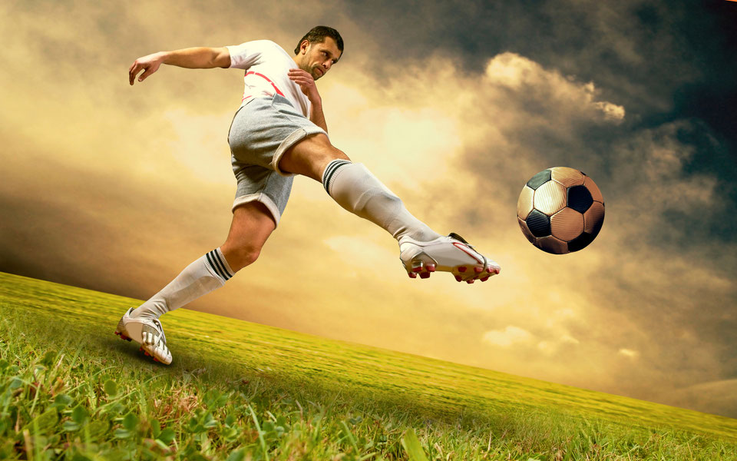 All persons who would like to play football in a mixed and international group are welcome. 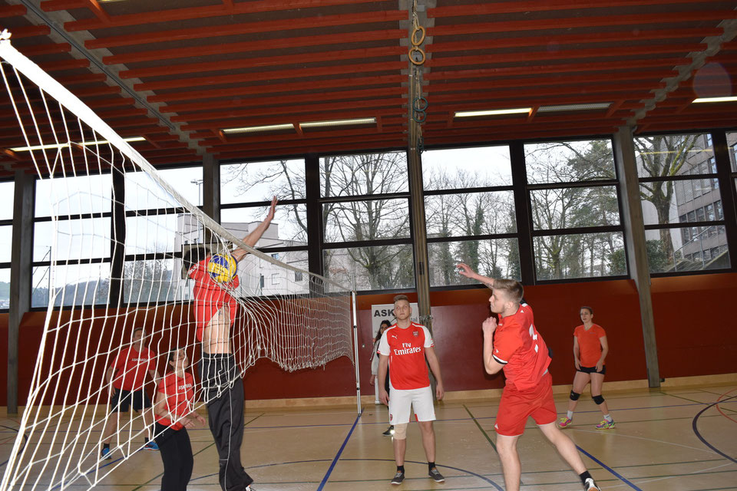 You want to play Volleyball, centrally located in Basel (near Wettsteinplatz and Claraplatz) in an international mixed age group? Volleyball with ASK is for all ages and genders. Beginners and advanced players are equally welcome. There are only a few places left. 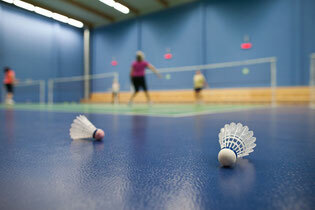 Badminton is played on two fields with ASK. A maximum of 12 people can register. A double is played, which means 2 against 2. Beginners and advanced players are welcome! Changing rooms for women & men available. Please ask us for directions to get there. 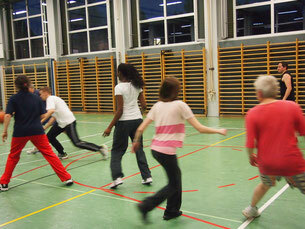 Floor hockey is played in a sportshall in Basel and we play with mixed teams (men and women of all ages). All equipment is provided for by ASK. We play at a relaxed and comfortable pace as none of us are professionals. There are changing rooms with showers for women & men. Women and men of all ages are most welcome. Each week a casual playing between amateurs. When we think of yoga, we usually mean Hatha Yoga by that. The word Hatha is a compound word: Ha means sun and tha means moon. Hatha Yoga is about the balance of contrasts. Hatha Yoga, which is commonly practices in the Western world, reflects the philosophy of a "healthy mind in a healthy body". It is a universal yoga which takes both the respect for tradition and the individual personality into consideration. It inspired by the teachings of the Indian master Krishnamacharya, who gave key importance to the respect for the individual and for the culture. Hatha Yoga is a yoga of the effort. It is a personal approach based on everyone's own experiences, but under the guidance of a teacher. • There is ample space for postures and breath control. Registration required. Please bring along your own Yoga mat, a blanket and wear comfortable cloths. Yoga experience required. 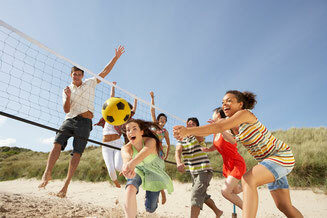 In Spring and Summer, we offer again the possibility to play beach volleyball. A special pleasure to play on fine sands in the Sports centre St. Jakob (Joggeli). All passionate volleyball players (preferably advanced), who feel comfortable on a beach volley field and want to exercise regularly. There are changing rooms for women and men. Cost of Fr. 30.00 per person for members. 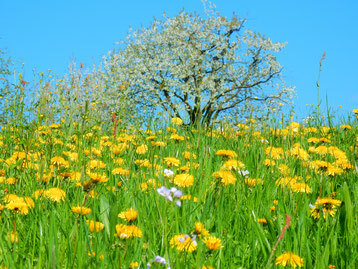 One hour, possible either from 19.00-20.00 h or 20.00-21.00 h.
In Spring, Summer and Autumn, we hike through the beautiful Baselbiet, Aargau, Alsace, Schwarzwald or the Jura every month. The Blackroll is a device with which you can effectively train, massage and stretch your muscles. It release and trains specifically the fascia. This effect can be noticed directly during or after the workout. You feel more relaxed, free and powerful. The Blackroll has a weight of 140 grams, has a diameter of 15 centimeters and has a length of 30 centimeters. This makes the small training device very handy and easy to store anywhere. The purchase of the Black Roll has to be done by yourself.